in any Green Bay Neighborhood. Green Bay is the seat of Brown County and is situated about 1/2 hr. from the Fox Valley and one hour from Milwaukee, WI. Chicago, IL is three hours away. "The Gateway to the Great Waterway", as it is known, has a strategic location on Lake Michigan and ships from all over the the world visit this port. The strong economy centered mainly on paper mills, trucking, insurance and the food industry, particularly dairy. Green Bay is home to the National Railroad Museum, the Neville Public Museum with exhibitions of art, history, and science, and to the University of Wisconsin-Green Bay. Recreational opportunities abound with Triangle Park, zoos, a wild life sanctuary and museums. You can walk or bike the Mountain Bay Trail which stretches all the way to Wausau. Green Bay sponsors a 10K Bellin Run and a marathon every year. team has been based in the city since 1919. The city is by far the smallest market to have a major league team of any kind. Green Bay is nicknamed "Titletown, USA" for the number of NFL titles (12) it has won over the years. In 1999, the Green Bay areas was declared one of 10 cities in America to receive the "All-America City Award' from the National Civic League and Allstate Insurance Company. This highly respected award celebrates effort and innovation in addressing community issues like the quality of education, neighborhood development and diversity. Green Bay school systems are highly recognized nationally. Test scores are consistently among the highest in the state and the nation. There is a strong library system and numerous opportunities for extra-curricular activities. A University of Wisconsin branch is located here as are Northeast Wisconsin Technical College, St. Norbert College and Bellin College of Nursing. Green Bay Wisconsin Realtors coexist with discount commission real estate brokers offering cash rebates. Green Bay Wisconsin buying or selling of condos houses and vacant land can include FSBO by owners as well. Green Bay bargain properties including government seizures, foreclosures, hud and va reposessions. 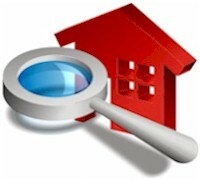 Green Bay Rental properties and homes are available. Green Bay WI flat fee mls listings and discount realty companies. Green Bay erc relocation professionals can assist with furnished housing, extended stay and corporate rentals. Green Bay Wisconsin condos, townhouses, single family homes and land for sale with realtors. Green Bay Land, New Construction, Builders, Developers, Architects & investment properties.